The primary cause of wine spoilage is a poor wine storage environment. Inconsistency in temperatures will ruin the wines. This is the main reason most oenophiles invest in a climate-controlled wine room. 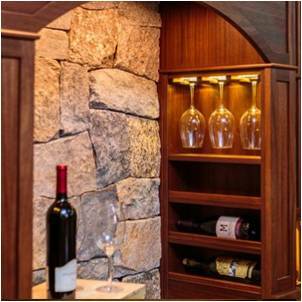 At Harvest Custom Wine Cellars, we build wine cellars in Baltimore and equip them with the right wine cooling system. We care for your wine collection. We will do everything we can to protect them from harm. What is the Perfect Environment to Let Win Age without Any Problem? Every component in wine cellar construction is essential. However, the wine cellar cooling unit plays a significant role in determining the lifespan of your wines. Do not waste your time collecting wines if you are not willing to go through the process of wine room refrigeration. Keep in mind that wine quickly deteriorates if you keep it in a place where the conditions are inconsistent. If you want to enjoy great tasting wines for many years to come, investing in a refrigerated wine cellar is a must. 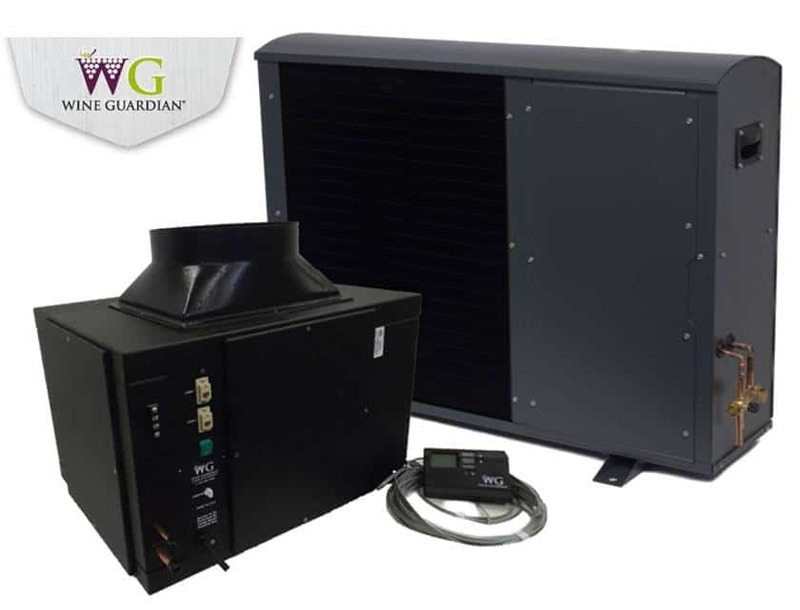 A reliable wine cooling unit is designed to prevent extreme changes in temperatures and humidity levels. 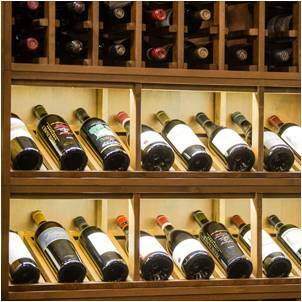 Ideally, your dedicated wine cellar must be able to maintain a temperature of 55 to 65 degrees Fahrenheit. When the temperature in your wine room goes beyond this range, you cannot expect your precious wines to last until they are ready for consumption. Instead, they will spoil, and your investment will go to waste. Too much heat will accelerate the aging of the wine and cause it to have an unpleasant taste and aroma. Moreover, the wine will also turn brownish. Installing a regular home air conditioner will not work. 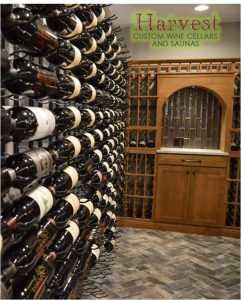 Cooling a wine cellar to achieve the perfect environment requires the help of a builder who has technical skills and knowledge in refrigeration and proper wine storage. Too much exposure to sunlight or UV light will cause the wine to have a “light-struck” flavor. If your wine has this wine defect, it will smell like wet newspaper or cooked cabbage. This is due to the breakdown of sulfur compounds by ultraviolet light. That is why wines are bottled in colored glass. We do not recommend placing wines directly near the window or in an area where the wine receives direct sunlight. Moreover, using bulbs that emit too much heat is not recommended. This is the main reason we use LED lights in wine cellars. The more important thing to do to prevent damage caused by heat and light exposure is to install an efficient wine cellar cooling system offered by an expert in Baltimore. The right size, brand, and capacity of the refrigeration unit must be used to prevent win storage problems. Another wine storage problem that must be prevented is condensation formation inside your cellar. The ideal humidity inside a wine cellar is 60 to 70 percent. Anything higher than 70 percent will trigger mold and mildew growth in the walls, on the ceiling, cork, and wine labels, which can affect both the quality of your wines and the structural integrity of your wine room. When the humidity level is below the normal range, the cork will dry out and shrink, causing an unwanted amount of oxygen to enter the bottle and mix with the wine. This occurrence will result in wine oxidation, which can cause off flavors and aromas in the wine. Harvest Custom Wine Cellars and Saunas has expertise in preventing these problems. We recommend installing a reliable wine cooling unit in your wine cellar. To enjoy wine to the fullest, you must allow it to reach its peak maturity before consuming it. It is a delicate beverage that requires a cool and humid storage environment. At Harvest Custom Wine Cellars and Saunas, we always make sure that every wine room we build is insulated correctly before installing the wine cooling unit. Room insulation will help the refrigeration system to maximize its performance by sealing the cold air inside the cellar and preventing the warm air from entering. With many types of wine cellar cooling systems available in the market, it is a smart move to consult a refrigeration expert like Harvest Custom Wine Cellars and Saunas. Wine Guardian has been providing us with wine cooling solutions for many years. Their products are designed for maximum performance and efficiency, minimal noise, and low vibration. You may choose between their ducted, split, and through the wall wine cooling systems. If you are a serious wine collector, you must be willing to work with a builder who knows and understands the importance of a high-grade wine cellar cooling system in the correct aging of your wines. At Harvest Custom Wine Cellars and Saunas, our experienced team offers the best wine cooling solutions for your needs. Need help? Contact us today at 1 (801) 349 8226!